6' tables can seat 6 people using the long sides or 8 using all 4 sides. An 8' or 60" x 120" cloth would be lap length. A 90" x 132" cloth would be floor length. 8' tables can seat 8 people using the long sides or 10 using all 4 sides. An 8' or 60" x 120" cloth would be lap length. A 90" x 156" cloth would be floor length. 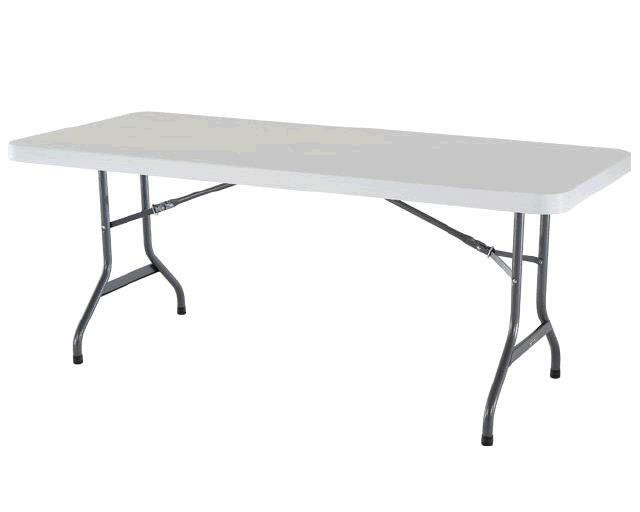 * Please call us with any questions about our banquet tables rentals in Cleveland, Parma, North Ridgeville, Strongsville, and Cuyahoga County.